Metal band GRAVE DIGGER will have the German Metal Attack Tour 2013 through Germany from January 11th 2013. 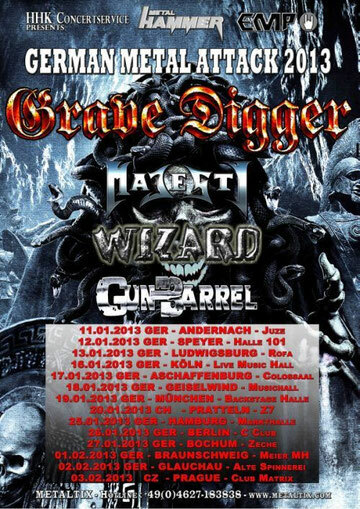 They will be on the tour together with their support bands Wizard, Majesty and Gun Barrel. Visit GRAVE DIGGER website to get more tour info.